WARNING: YAML Heavy post. Sorry. So I have been internally debating the best way to share this latest little thing I was working on/ learning. My goal over 2018 is to post more on migrating applications from virtual to containers managed by K8s. That transition isn’t for everything and has definetley required diving more into applications. There are many Kubernetes concepts I am going to skip over as others may already have explained them better. I do plan on doing a vSphere to K8s quick and easy to help us VCP’s and other Virtual Admins get started. I wanted to keep it running in my lab and even though it works just fine on my local laptop, I switch between PC and Mac (2 of them) and wanted my environment (and data) available from a central place. Plus, I can’t learn Kubernetes without real applications to run. 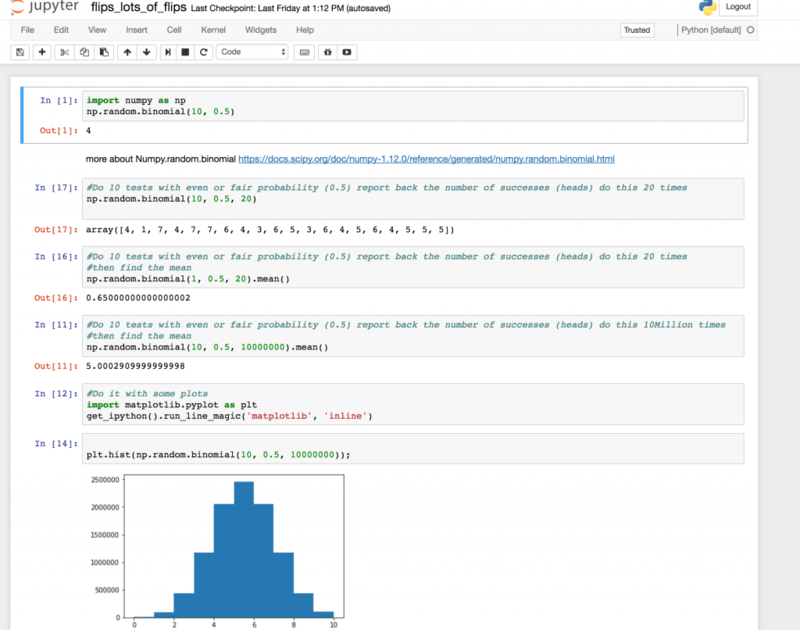 Jupyter is an open source web application that allows you to display interactive code, equations and visualizations. I use it for Data Analytics in Python. So jupyter is an application that can run in your conda environment. I want to run it as a container with persistent NFS storage in my Kuberenetes cluster in my basement. Notebooks are the files that contain the code and visualizations. I can post notebooks to github to allow others to test my work. In the github repo, I included a very basic file with some python. Once you have this all running you can play with it if you would like. So how to get it to run. ContinuumIO the keepers of Anaconda provide a container image and some basic instructions for running the container on Docker. I googled for ways that people provide this in cluster environment. In the near future Jupyterhub will be the solution for you if you want multi-tenant jupyter deployments with Oauth and all kinds of fancy features I do not need in my tiny lab. The following files are all available on my github at Conda-K8s. This worked in my environment with Kuberenetes 1.9. Your mileage may vary depending on access rights, version and anything you do that I don’t know about. First create the persistent volume you will need to create and edit the following nfs-pv.yaml file. First make sure you edit the file with your NFS server IP and valid already created path to your NFS Share. This is where your jupyter notebook data will be stored. If the POD crashes or the host server dies it will start elsewhere in the cluster, your data will persist. Brilliant! 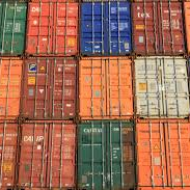 IF you want an automated way to create, mount and manage these volumes with Pure Storage check our our awesome flexvolume plugin for Kubernetes. Right now we will focus on making it work with any NFS path. This is manual and slow, so if you are serious about analytics get the plugin, and a FlashBlade. I am not going to get into the why of doing this but as far as my tiny brain can understand it is the way K8s manages what application can connect with what persistent volume. Notice how the request section of the yaml is asking for 100Gi, the size of my volume in the last step. Finally we can create the POD. The pod is what kubernetes uses to schedule a application and its most basic component. It can be just one container. It can be more, for now we won’t get into what all that means. value: "/opt/conda/bin/conda install jupyter nb_conda -y --quiet && /opt/conda/bin/jupyter notebook --notebook-dir=/opt/notebooks --ip='*' --port=8888 --no-browser --allow-root"
If you take a look at the file above there are some things we are doing to get conda and jupyter to work. First notice the “env” section I created. I didn’t want to create a custom container image but rather use the default image provided by continuumio. I don’t want to accidentally become reliant on my own proprietary image. Without the command and the arguments in the $JUYPTERCMD environment variable, the container starts, has nothing to do, and shuts down. K8s sees this as a failure so it starts it again (and again and again). Also we see in the volumes section we are telling the POD to use our “conda-claim” we created in the last step. Under containers the volumeMounts declaration tells k8s to mount the pv to the mountPath inside the container. A few things we need to connect to the jupyter notebook. Run the following command and notice the output. It gives you a URL with a token to access the web app. Obviously localhost is going to not work from my remote workstations. Save that token for later though. [W 17:09:25.421 NotebookApp] WARNING: The notebook server is listening on all IP addresses and not using encryption. This is not recommended. [I 17:09:26.098 NotebookApp] Use Control-C to stop this server and shut down all kernels (twice to skip confirmation). We must create a “service” in Kubernetes in order for the application to be accessible. There is a ton about services and ingress into applications. Since I am running on an private cluster. Not on Google or Amazon I am going to use the simplest way for this post to create external access. That is done using the “type” under the spec. See how it says NodePort? Also I am not specifying an inbound port (you can do that if you want). I am just telling it to find the app called “conda” and forward traffic to tcp 8888. Great, now we see the service is forwarding port 32250 (yours will be different) to 8888. Using the node port type I can actually hit any node in my cluster and my K8s CNI will forward the traffic. now just go to and paste your token from earlier. In my github repo for this project I included a basic notebook file that shows some python code to simulate coin flips many many times. Feel free to “upload” and play with it and have fun with Data Science on Juypter / Conda running in a K8s cluster.